Serendipitous holidays don’t come around all that often. 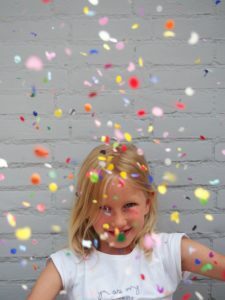 My children have been chattering on about different pranks to get ready for the big day (from the sound of it, most involve me and a whoopee cushion). Little do they know, that this mum has plans of her own. You may also may be feeling obligated to make the most of the upcoming Easter and April Fool’s Day overlap and play some tricks of your own on your unsuspecting kids. If so, I have thought of a few ways to help make some laughable memories this holiday weekend. The night before add enough milk to just barely cover your child’s favourite cereal. Cover with clingfilm and carefully place the bowl in the freezer overnight. 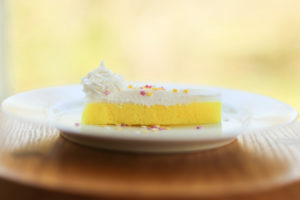 Just before serving in the morning, splash a bit of milk on top to hide the frozen milk. If you are like me, you might have to exit the room, so that you don’t stand over them giggling thus giving the prank away before they start chipping away at their frozen milk. If your little one is a heavy sleeper then this prank is a harmless way to get the day started with confusion. This is and oldie but a goodie and one that I learned from a friend’s big sister back in the days of slumber parties. In the middle of the night, when you are certain they are sleeping heavily, move your little to a new spot. It could be as simple as moving them to the sofa or swapping beds with two kids. The idea is that when they wake in the morning they will be in a new room and have absolutely no idea where they are or how they got there. I apologise in advance, but for this prank you will have to consume chocolate. How much and what brand is completely at your own discretion. You can blame it on me. I am really very sorry. 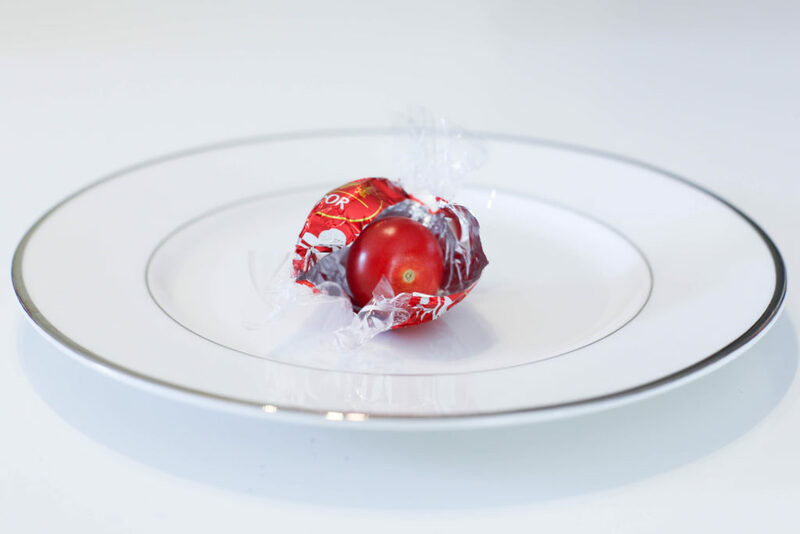 Carefully unwrap your favourite chocolates and put in the place of the chocolate your choice of grapes, sprouts, cherry tomatoes, or carrot sticks. Watch their little faces go from glutinous excitement to down right disappointment as they unwrap their healthy snacks. Sorry, not sorry. Before bringing out the traditional Easter dinner, call everyone to the table and instead surprise them all with ice cream sundaes for dinner. Every kids’ dream! However instead of ice cream, use mash. 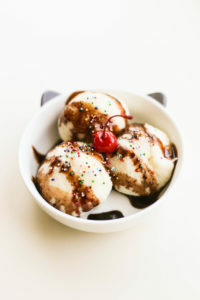 Go ahead and add the chocolate syrup and sprinkles to complete the look. And it’s pretty convincing… just look at the photo below. Do you ever wonder just how sneaky your little ones are when you aren’t looking? 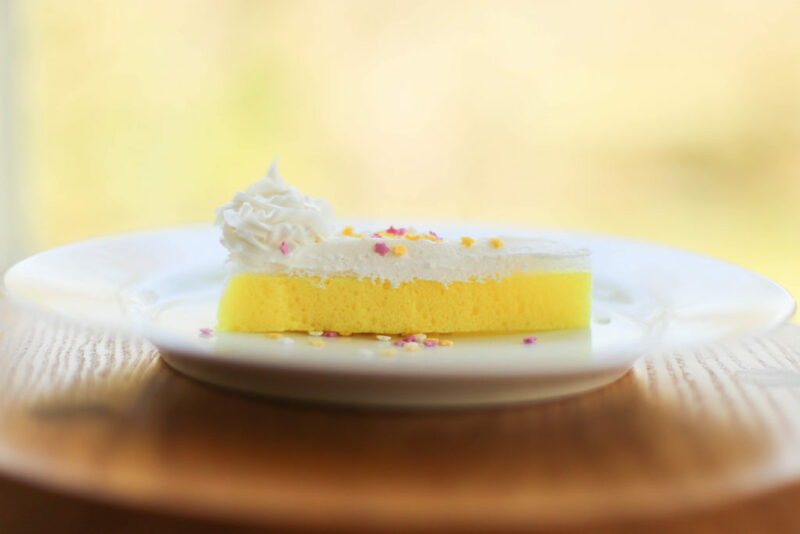 To test their will power, decorate a kitchen sponge with icing and sprinkles so that it looks like a tempting piece of cake. Just leave it on the kitchen counter and see what happens. I find this is a fun trap for the husband as well. Will they or won’t they? 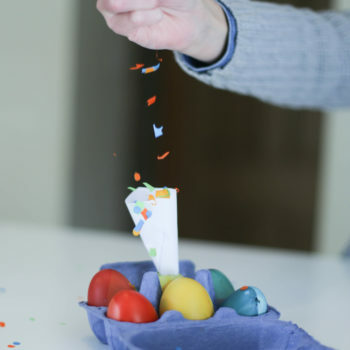 Confetti-filled eggs were always a tradition in my house growing up and are perfect to introduce to your children on this April Fool’s Day. 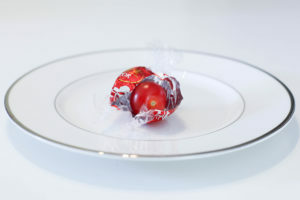 Their origins are from Italy but are now a hugely popular part of Mexican and Texas Easter holiday traditions. They require a bit of prep but will ensure festive memories as you allow the kids to smash them over one another, play chase or have an egg fight with the family. 1. Using a knife or the point of a pair of scissors, crack a small hole at the larger end of an egg. Let the egg drain, carefully rinse its interior, and allow it to dry. 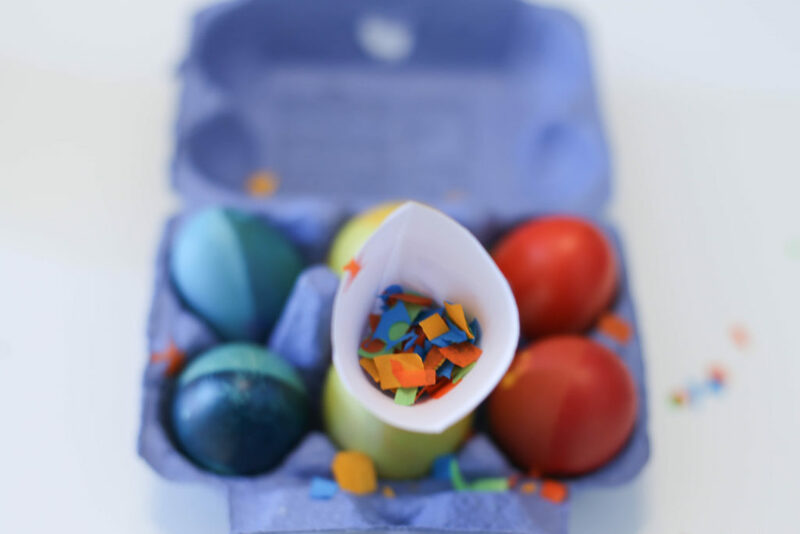 Use food colouring and vinegar to colour the eggshell. Or carefully paint with watercolour paints. Allow to dry thoroughly. 2. 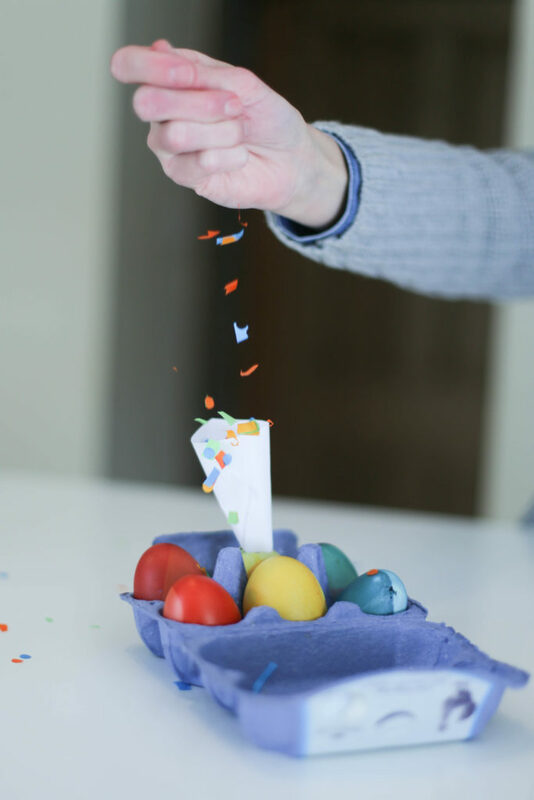 Using a piece of paper to make a funnel, fill the egg about halfway with confetti. 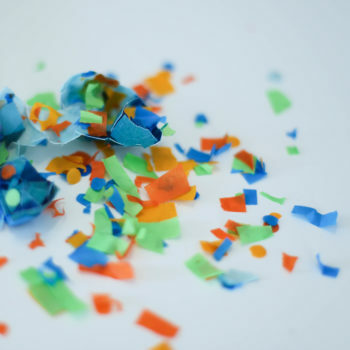 You can buy ready-made from a party supply store or make your own with a hole punch and tissue paper. 3. 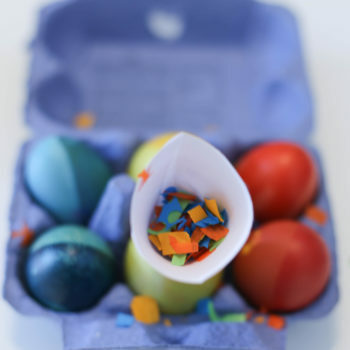 Cut a piece of tissue paper slightly larger in size than the egg’s hole. Run a glue stick around the edges of the hole and over one side of the paper; seal the hole by pressing the paper firmly over the opening. 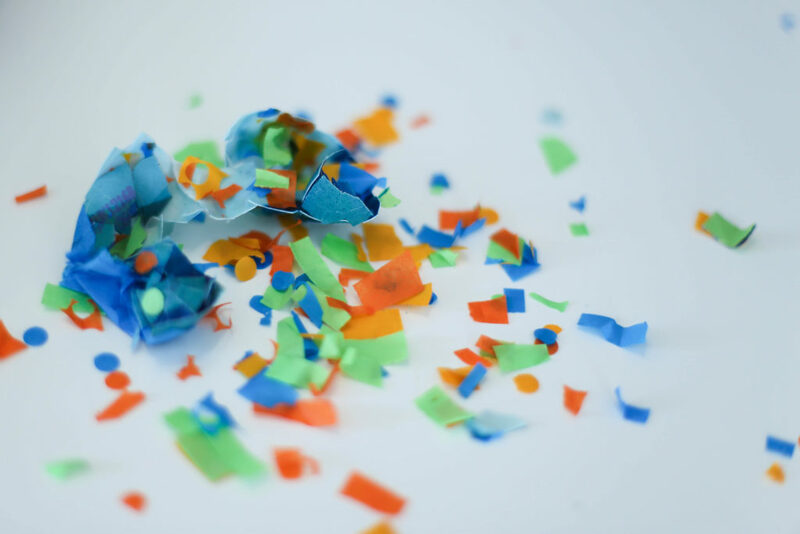 If you have a more tender hearted child but you still want to pull a small prank on them, perhaps this idea is better suited for you. Whilst your child is fast asleep, sneak into their room and carefully turn all of their books around so that none of the spines are visible. With the excitement of the bunny coming and chocolate eggs, they might not notice right away. Then again, that is half of the fun. This Dale Life is a new blog coming to Nidderdale soon. Written by a local mum who loves getting out and exploring the area with her family the aim of the blog will be to share the fun of family life in the dales and connect readers to local walks, swimming holes, hidden corners and treasure filled trails. It will include interviews and chats with artists, craftsmen, creators, thinkers, farmers and entrepreneurs that help to make Nidderdale such a truly spectacular community.